First of all, we would like to welcome you to our initiatory journey into the purest form of Tantra! The classes will take place once per month and each time we will have a double class. After each class, you will receive the corresponding written lessons. If there is a yoga school in your area organizing the class, you are kindly asked to join that group. Individual attendees are included only if they do not have a yoga school organizing the event in the town they live in. If you miss an online live class recuperation will be possible within the following week. Those who join the course later on will have to recuperate all previous classes starting with class one. The app we will use is ZOOM Cloud Meetings by ZOOM. The price per class is 35€. If you are a yoga school organizing the event, you will take 20% out of the total amount for your school and send us the remaining 80%. 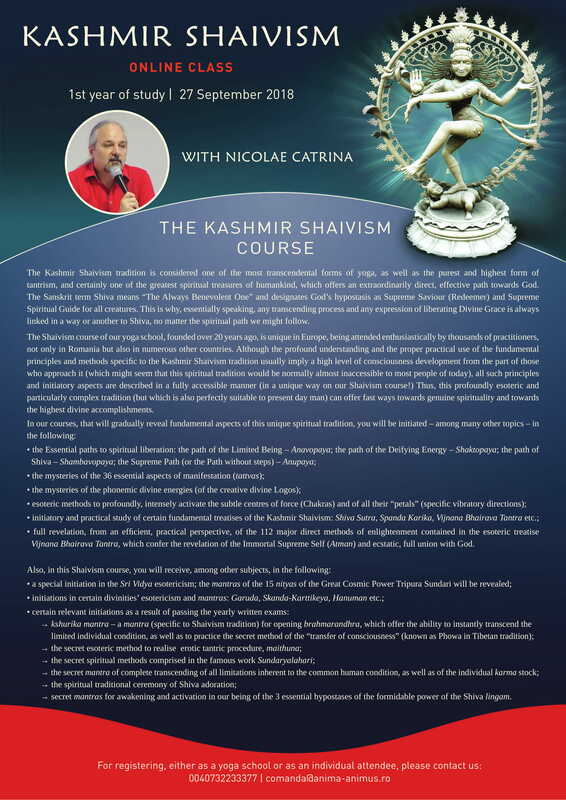 If you already are a Kashmir Shaivism student you may attend the class with a 50% discount. If you are a Kashmir Shaivism teacher you may attend the course free of charge.